Bunny projects should be in style and demand all year round because they are just so cute! 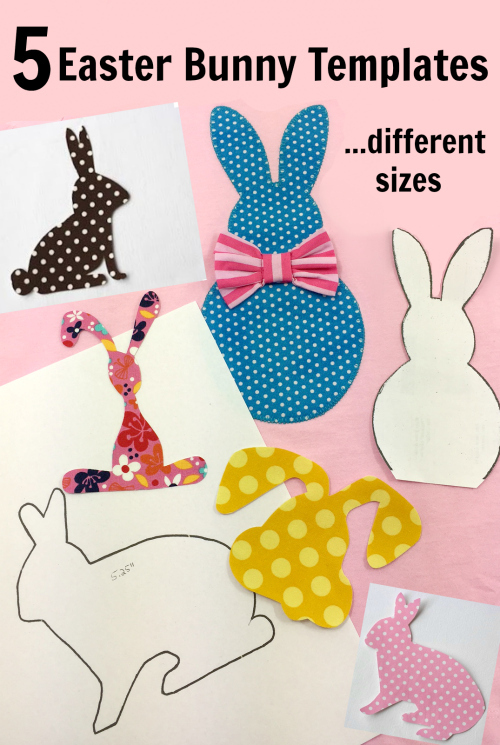 I have put together 5 free bunny appliqué templates for you. The downloads come in one size but with increasing and decreasing the print scale you will be able to print them out in several sizes. It was the perfect coincidence that my daughter asked me if I had already made her Easter shirt. I said “hunny, it’s in the making” and that was so not true lol….But I had already purchased some solid colored t-shirts from Walmart which were waiting to be embellished. So I picked this pink tee and dug through my fabric closet and found this adorable blue/white pin dots fabric from Robert Kaufman and the raspberry/pink striped fabric from Michael Miller. The little bow was made using this tutorial although I used much smaller measurements to make a bow that fits the bunny well. I couldn’t decide where to place the bow so I asked in a facebook group and got close to 400 opinions from which the majority chose picture A. So I went with that! So what do you think? A or B? 🙂 Ok, let me show you how I made it! bunny templates —-> download here! 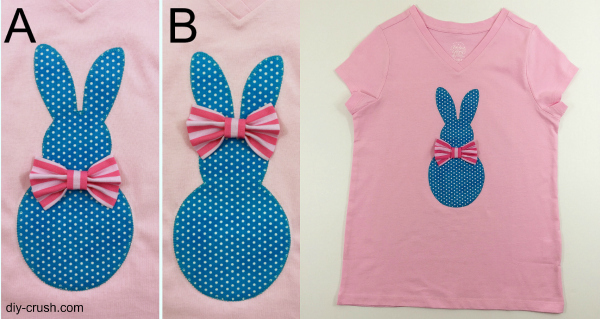 I basically followed this tutorial to create the iron-on but used my decorative stitch no.11 (on my Brother machine) to sewed around the bunny. I love how this stitch edged the appliqué. I’m providing 5 different bunny templates that you can print out in the size you need. The templates have the original height on them when printed 100% but you can print them also bigger which means you want to increase the percentage from 100% up to 125% (which I did for my t-shirt with the blue/white dotted bunny). For smaller templates I have already included the sizes when printed 75%. You will find the height of each bunny on the templates themselves. 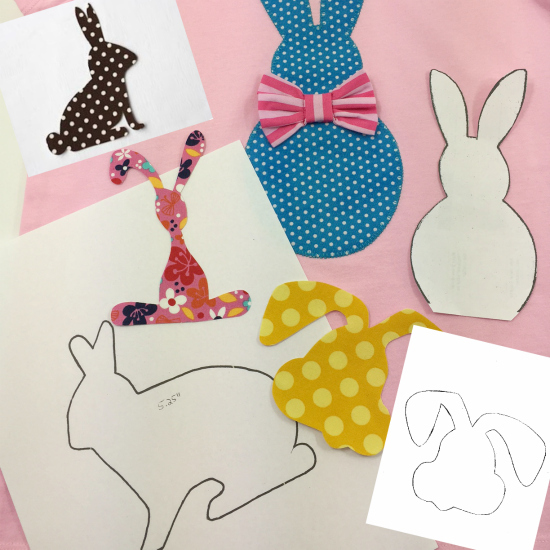 Enjoy making bunny appliqués and share some pictures in our facebook group! We’d love to see them! If you enjoyed this free bunny applique tutorial, would you like us to email you when we have a new post up? You can choose what interests you! Then hop on the list by entering your email in the sidebar! We are linking up to some of these awesome blogs! Come over to our link party on Thursdays at 7pm EST! Your daughter’s Easter T shirt is just adorable! Thank you for the bunny templates! I need to make some bunny applique tee shirts. Pinning for later. 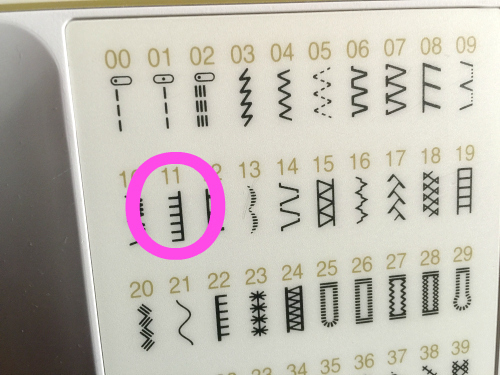 I hope to get some sewing in the next few weeks. Nice to check in and see what your crafting. Feel free to drop by the party if you like to share.